The pub by the sea. Portscatho, Cornwall. A charming 18th century Cornish pub, a stones-throw from the water’s edge. 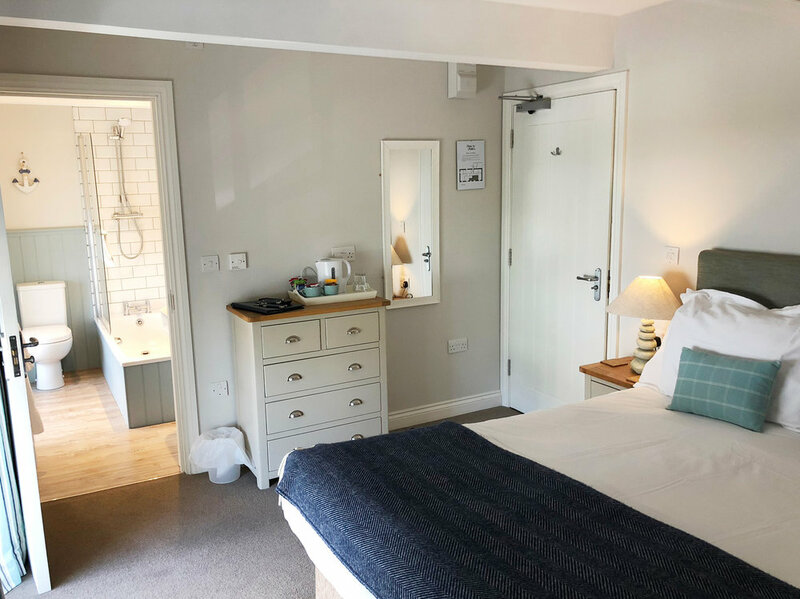 Come and enjoy our delicious local seafood dishes, excellent selection of beers, ales and craft spirits or stay a while in one of our beautifully refurbished rooms. Welcome to the Plume of Feathers, a great little Cornish pub and Bed & Breakfast in a great little village on the fabulous Roseland Peninsula. Portscatho lies in the south-westerly corner of Gerrans Bay. The east-facing cove affords shelter from the prevailing sou-westerly winds and this meant it was ideal as a base for the pilchard fleets of the eighteenth and nineteenth centuries and is still, although on a much smaller scale, an active fishing port today. The same shelter makes for safe swimming and very popular for kayaking and stand up paddleboarding and its proximity to many fine sandy beaches means it’s a family favourite. Just metres from the south west coast path, makes it a very convenient stopping off point for a pint and a sandwich or just to recharge your phone, use the wifi and send your stunning photos to your friends. We are dog friendly which also includes two of our rooms in our Bed & breakfast. We have 5 bedrooms, all en-suite with bath and shower and free wifi. From £80 per night. There is a choice of twin, super-king, king or double. 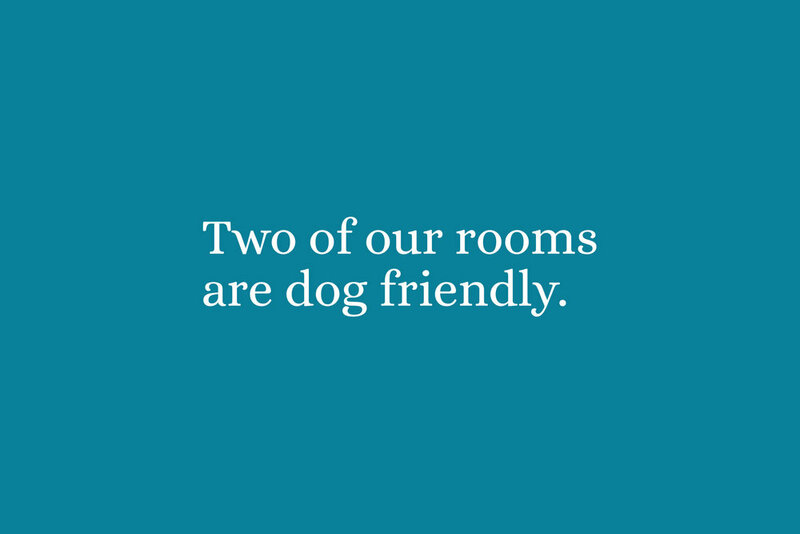 Two of the rooms are dog friendly, which does come with a surcharge of £25 (if you do have particularly strong allergies, please be sure to tell us and we’ll make sure you don’t go in a dog friendly room). We do have a 48 hour cancellation policy and we have a 2 night minimum stay policy at the weekends. Call us to book a room on 01872 580 321 or fill out the contact form below. Here at the Plume we serve food all day. Breakfast from 9.00am to 11.30am then lunch from 12 to 5pm and then dinner from 5pm to 9pm. Sunday roasts served from 12-4pm and the regular menu from 4-9pm, booking advisable. We are so fortunate to be in Cornwall surrounded by wonderful and interesting products and suppliers and as much of our food as is feasibly possible is locally sourced. To book a table call us on 01872 580 321. Bacon, sausage, free range egg, hogs pudding, grilled tomato, flat mushroom, baked beans and toast. Served on toasted brioche or sourdough. Poached eggs, spinach, toasted brioche or sourdough and hollandaise sauce. Poached eggs, bacon, toasted brioche or sourdough and hollandaise sauce. Poached eggs, smoked salmon, toasted brioche or sourdough and hollandaise sauce. Served in a delicious brioche roll. An extra portion of; bacon, sausage, egg, mushroom, tomato, beans or toast. Add smoked salmon to any breakfast. With balsamic and parmesan (v)(gf). With sweet chilli sauce (gf). White, granary or gluten free. Served 12-5pm. Davidstow cheese, bacon, relish, triple-cooked chips. Red onion marmalade, mixed leaves. With crushed peas, tartare sauce. With chilli, garlic & spinach. With tomato, mushroom, chips and salad garnish. With vanilla ice cream (v). Cornish Yarg, Cornish Blue, Cornish Brie, crackers and chutney (v). Homemade roast dinner with a choice of local meats and seasonal vegetables. Vegetarian and fish options also available. With hand cut chips and peas. With hand cut chips and beans. Baked beans on toast served with melted cheese on top. Add cheese and bacon for +1.50. Portscatho derives its name from the Cornish for 'boat cove' and in the 1700s was part of the manor of Pettigrew, it's neighbour, Gerrans being in the manor of Nampity. While Gerrans was chiefly dependant on agriculture the village of Portscatho was more concerned with fishing and even had a boat building yard at far end of the village, where even today old copper nails can sometimes be found amongst the rocks. There are many records of pilchard fishing at Portscatho. When catches were good the village prospered but some years when vast shoals of little silvery fish did not visit bay times were very hard for the locals. As early as 1626 records survive of 18 pilchard seine boats working out of the village. Along the shore there were numerous low built open fronted fish cellars. Here the fish were cleaned, salted and packed into wooden barrels. Some were kept to feed the local families through the winter but the vast majority were sold and found their way to mediterranean ports. The last great pilchard catch in Gerrans Bay was in 1908 and credited to the landlord of the Plume of feathers, Edward Peters. The Plume of Feathers was built in 1756 for the Jennings family. The Inn now one of the three oldest buildings in the village was built in the Wayfield, now forming the centre of the village. The Plume was advertised to let in 1791 as a 'well accustomed inn' with stable and with 4 acres of exceedingly good land. The Plume of Feathers like the other local inns brewed their own beer in days gone by. The beer was brewed in what is now the cellar bar. The water for the brewing was channelled from the village pump just outside and fed viva a wooden guttering through a hole in the wall which can still be seen. The village pump in those days stood in what is now the middle of the road and was only moved to its present position with the arrival of the motor car. With the opening of the railway into Cornwall in 1859 it wasn't long beforePortscatho was being visited. In those early days you either left the train at Grampound Road and travelled to the village by a horse drawn vehicle or you left the train at Falmouth and arrived by Percuil by boat and then by horse drawn bus through Gerrans and down to Portscatho. In 1868 it was being described as a beautiful water place and in 1876 as afforded a most pleasant prospect to all summer visitors of the much frequented seaside watering place. By the early 1900's a list of visitors staying in the village was published in the local newspaper each week during the summer. And so far almost one hundred and fifty years the village has welcomed its visitors and The Plume of Feathers is still at the centre of things. 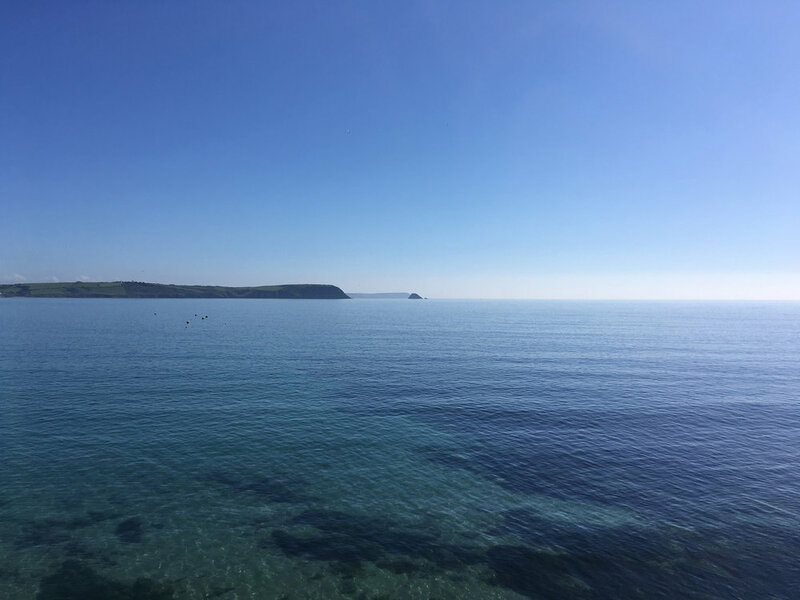 The Roseland Peninsula is a lovely quiet corner of Cornwall filled with secluded beaches, scenic headlands and picturesque creeks and villages. On the east side of the Roseland are the small villages of Portscatho and Gerrans. This area is fabulous for walking, offering a great variety of wonderful coastal and inland walks and its safe bays provide the perfect playground for a wide range of watersports. The Lost Gardens of Heligan are just a short drive away. Explore the Roseland villages and hamlets such as St Mawes with its castle built by Henry VIII, Veryan with its famous roundhouses and Portloe with its tiny harbour. We are so lucky to have some of Cornwall’s prettiest beaches on our doorstep. Tatams, Porthcurnick, Towan, Pendower, Carne, Portholland, Hemmick to name just a few of our favourites. There are plenty of opportunities for sailing and fishing trips in and around St Mawes and Falmouth. Gerrans Bay is particularly good for kayaking and stand up paddleboarding (SUP). You can hire kayaks and boards from nearby Portholland and St Mawes. Just metres from the south west coast path, why not explore the area and head back to the pub for a well-earned pint! For all enquiries, please call 01872 580 321 or fill out the form below. We look forward to seeing you soon! © The Plume of Feathers 2019. Site designed by Design Room Cornwall.